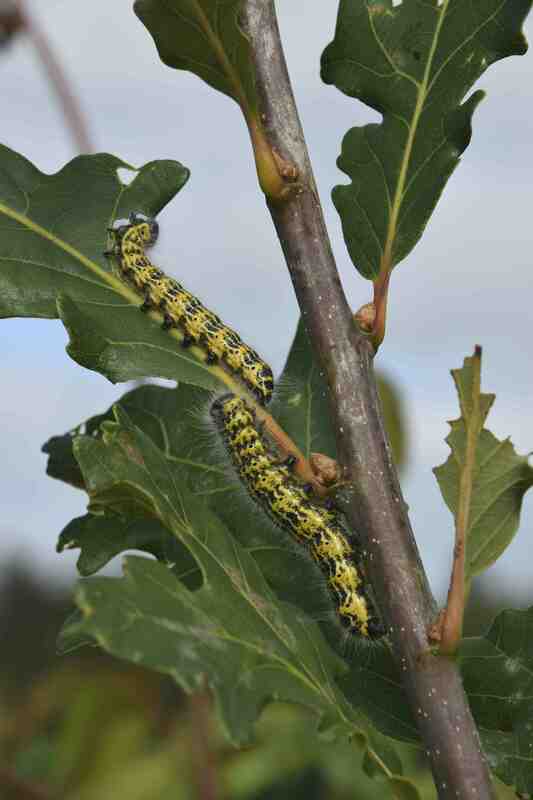 The other day I was passing a young oak sapling and noticed what, for me, was a huge caterpillar. It didn’t take long to see another half dozen or so, scattered over the small tree. I am not overly fond of caterpillars on edible plants but because oaks are the most important trees for wildlife, supporting more species than any other native tree, I had no hostility towards these creeping creatures as long as I was sure they were not the annoying and mildly dangerous oak processionary moth – the hairs of which are irritant. A little looking up and I am pretty sure these are the larvae of the buff-tip moth (Phalera bucephala). The moths fly in mid summer and are large and rest with the wings over the body. The ends of the brown wings have a paler patch, hence the name. 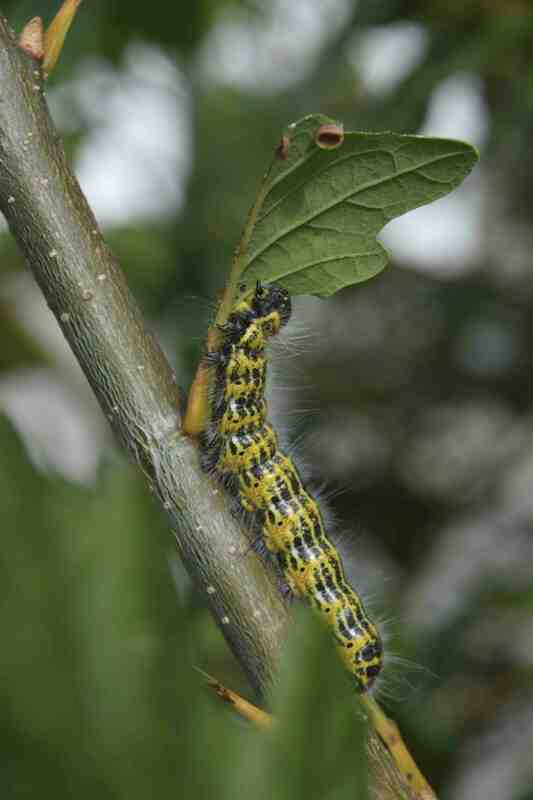 The caterpillars, which also feed on limes (tilia not citrus) feed in a group when young, presumably because the adult female lays the eggs in a cluster. As they get to this size they separate, being big enough to fend for themselves, and with clear warning colouring and masses of white hairs that probably make them unpalatable too. Today they are still feeding but I am sure they must soon be big enough to pupate. their late feeding may be due to the warm weather we have had or maybe they always feed into October. I have never seen them before. I just hope they don’t hang around and the adults bang round my bedroom next June! Never seen them either. Perhaps todays cold rain will put them off. They have gone now – the storm last night blew branches off so I can’t imagine a caterpillar stood much chance!